Boy o’ boy. The highly anticipated, and much rumored Metal Gear movie is finally back in productions. Konami and Mr. Kojima have announced at Metal Gear’s 25th anniversary that the movie is now in early stages of production. Good news for the fans, Avi Arad is the producer of the Metal Gear movie. He has a collection of Marvel blockbusters under his productions such as “The Amazing Spiderman” and “Iron Man”. In other words, the movie is in safe hands. It’s also been told that Mr. Arad is producing other video game adaption movies such as Uncharted and Mass Effect (inFamous movie rumored as well). The movie is still in early stages of production; so, it will take a while before it hits the silver screen. One thing I have always been wondering about is the voice of Snake. I am sure David Hayter won’t be chosen as Snake in the movie; but, his iconic voice of the character makes it hard to accept anyone else. However, when it comes to the looks, it gets quite interesting as there are great actors that look good enough for Snake’s role with a beard and a bandana. My pick would be between Hugh Jackman and Christian Bale. They’ve got the looks and build and can probably sound like Snake. Though Bale might “be” a better Snake than Hugh, the latter sure looks like him in a bandana. Share your thoughts/imaginations/dreams about the movie and tell us who you think would cast as Snake and/or the others. 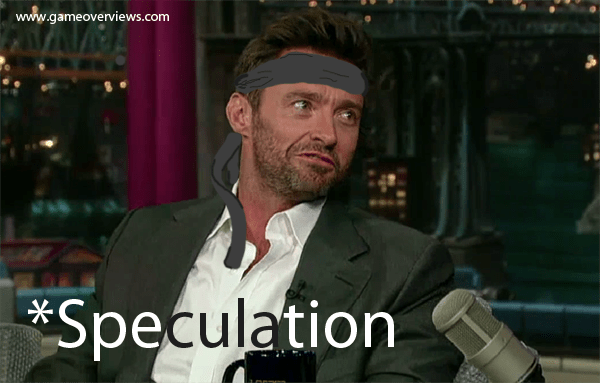 2 Comments on "Metal Gear Movie in The Works… For Real."